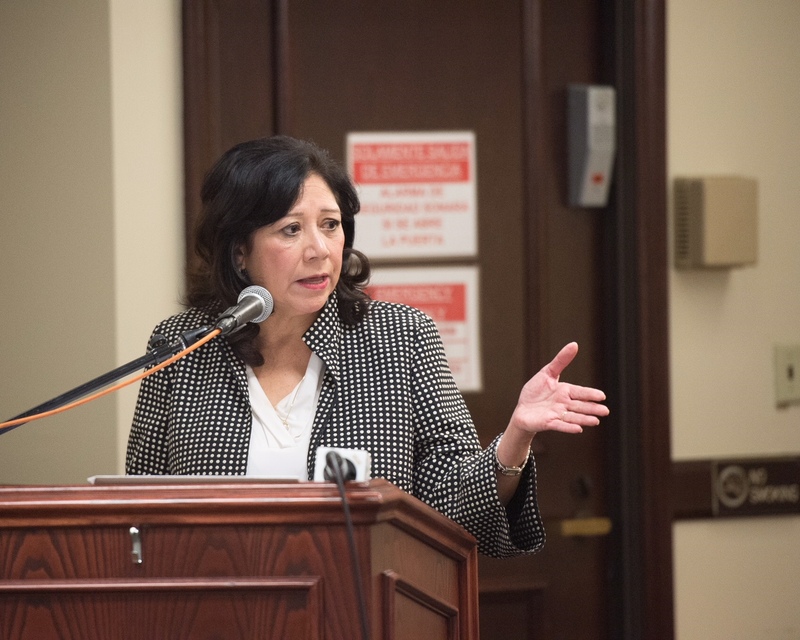 Supervisor Hilda L. Solis speaking at the January 18 briefing (Photo by Bryan Chan, Chief Photographer, LA Board of Supervisors). If you’re an immigrant and reside in Los Angeles county, there are resources available for you, whether for legal needs or non-legal ones like food, health, environment or education. This was the message of support that came from L.A. county leaders who promised to serve immigrants in tangible ways at a briefing organized by Ethnic Media Services on January 18, 2019. At a time when the federal government continuously re-defines who is an American, and who is entitled to the rights and privileges of being American, the L.A. county is an “oasis of services” for all its residents, regardless of immigrant status. Supervisor Hilda L. Solis called out the federal government’s decisions to strip immigrants of their Temporary Protected Status, ending DACA, separating kids from their families and targeting Vietnamese and Muslim communities. “I, too, am a daughter of immigrants. 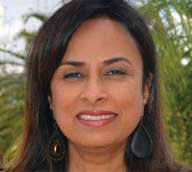 They [My parents] sought their opportunities going through discrimination,” said Solis. They came through different pathways from different countries, fleeing poverty and civil unrest and met in America and fashioned a life together. Her parents’ experiences made Solis recognize the courage and hardship that are part of the migration process. About thirty-five percent of the residents of L.A. county’s 10 million residents are immigrants. With this sizeable diverse population, it’s important that the county attends to its different voices and is able to communicate in a culturally competent and linguistically appropriate manner, according to Solis. Making immigration one of its key priorities, Solis said that the L.A. county board of supervisors has voted on 34 motions to protect immigrants. And, through a public-private partnership, a Legal Justice fund has been set up to provide resources to immigrants in court. With a goal of $10 million in funding, the legal fund has acquired $3 million from the county, $2 million from the City and plans to get the rest from foundations and donors. Using an analogy, Reyes demonstrated the importance of the Legal Justice fund. Imagine I go outside and steal a muffin and I get caught and charged. I don’t have money for legal fees, but I’m entitled to, and get a court-appointed lawyer. Now imagine that I’m a five-year old child who gets separated from my parents at the border and I’m sitting in front of a judge in deportation hearings. I don’t have the right to be defended in court, and hence have no lawyer and furthermore I speak no English. Who represents me? These are the kinds of cases that the L.A. Legal Justice fund will take on, Reyes said. When it comes to health care, Barbara Ferrer, director of the L.A. County Department of Public Health, said that her department tries to ensure that “everyone has what they need to be healthy.” With 14 health clinics and mobile vans, free immunization is provided to all residents. This is important not only to protect each individual but all those around, too, from communicable and preventable diseases. Through education and training programs, healthy practices and hygienic food handling behaviors are emphasized. Most importantly, all children can access medical services, including dental care, through Medi-Cal. With the changes to the Public Charge policy proposed by the federal government in October 2018, immigrants fear that if they access county services, they will be targeted. Joseph Nicchitta from the Department of Consumer and Business Affairs, as well as other L.A. county representatives reiterated that changes, if enacted, will not be retroactive and residents should avail of the county’s services, including food stamps, medical benefits and public housing. County stakeholders from Human Rights First, Program for Torture Victims (PTV), Catholic Charities, Al Otro Lado, Asian Americans Advancing Justice (AAAJ) and CARECEN promised to supplement L.A. county’s immigrant initiatives. Nora Phillips from Al Otro Lado talked about her work in re-uniting separated children with their parents. “We find out where the parents are, we interview parents, we find out where the kids are being detained and work with the Office of Refugee Resettlement to get the kids to the parents” she said. The process takes about a week or less, and some of the problems that Al Otro Lado faces include missing data and parents living in rural areas and speaking indigenous languages. She estimates that 14,000 kids are currently being detained. There’s a lot of work still to be done. Showing leadership to the rest of California and the nation, L.A. county leaders declared that they stand strongly together and in unison to combat the divisive and demeaning language and policies being used against immigrants.